George Vanderbilt brought together world-renowned experts to create Biltmore, then filled his French Renaissance chateau with amazing collections of art, books, sculpture, and other treasures. Make Antler Hill Village your first stop. Soak up the ambience of this charming 15-acre village that includes the Barn. 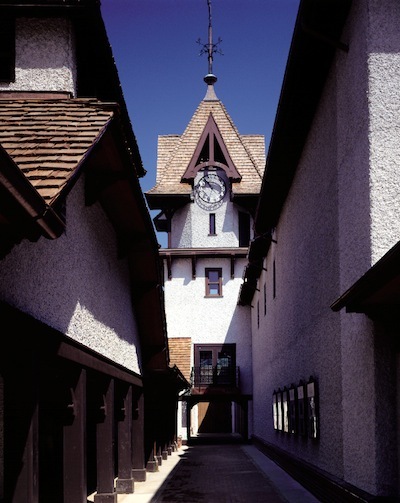 One of Biltmore’s most historic facilities, the Barn was designed in 1900 as the estate’s agricultural center. Browse through vintage farm equipment and tools, plus displays of traditional trades such as blacksmithing and woodworking. Savor lunch at Cedric’s Tavern surrounded by archival photographs related to the Vanderbilts’ favorite family pet – a Saint Bernard named Cedric. Look for his 33" collar on display. End your day with a peaceful night’s sleep in our four-star Inn or in our newest overnight option, Village Hotel, located in the heart of Antler Hill Village and just steps from the Winery. If you’re a guest at The Inn or Village Hotel, treat yourself to breakfast before heading to Biltmore House. Purchase our Audio Guide to Biltmore House, which covers all rooms open to the public in America’s largest home. Be sure to check out each in-depth information stop for more details on the Vanderbilt family, Biltmore’s artwork, and life on the estate. 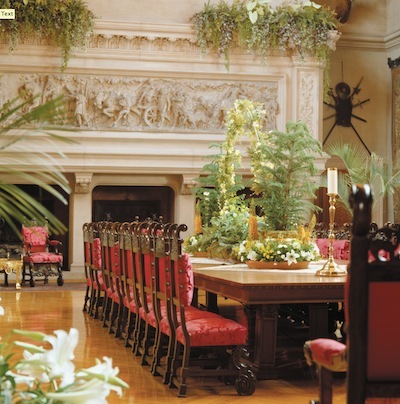 Look for John Singer Sargent portraits of Biltmore’s architect and landscape architect, two paintings by Renoir, Ming Dynasty porcelain bowls, and Flemish tapestries from the 1550s – and that’s just on the main floor. Consider taking our Behind-the-Scenes Guided Rooftop Tour – it provides stunning views and close-up architectural details of the home’s exterior in a small group setting. Not all of Biltmore’s treasures are located indoors. Beginning with the Library Terrace, immerse yourself in the “outdoor rooms” designed by landscape architect Frederick Law Olmsted. From the Library Terrace all the way to the Bass Pond, experience a series of formal and informal gardens – each with its own story to tell. The Conservatory is an architectural triumph created by Hunt and Olmsted working together. Stroll through the exotic blooms and buds that thrive under its expansive glass roof. Throughout the gardens, look for champion trees and rare botanical specimens that are treasures in their own right. 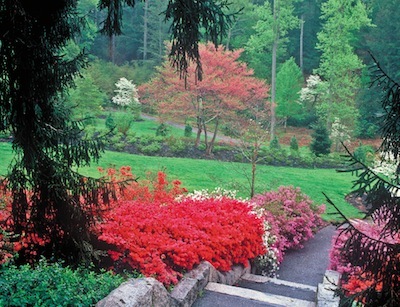 Don’t miss the Azalea Garden. As your second day at Biltmore winds down, return to The Inn or Village Hotel and head to The Spa (located in The Inn) for a relaxing Revitalization Package. Enjoy a lovely dinner in The Dining Room at The Inn or at Village Social at Village Hotel. Or, as an enticing option, enjoy room service at The Inn and have an early night of it—with time to rest and relive your Biltmore visit.